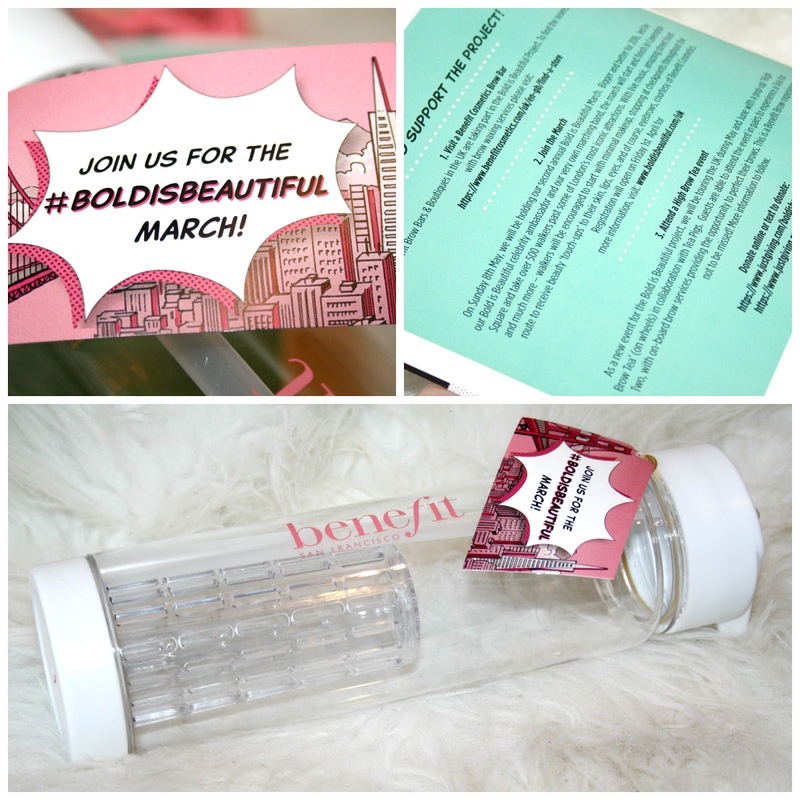 On Sunday 8th May 2016 Benefit Cosmetics be taking to the streets of London to raise funds for the Bold is Beautiful project, while having a whole heap of fun! But there is a serious side to having fun of course. Throughout the whole of May Benefit will be raising funds for two great charities, Look Good Feel Better and Refuge and there are a few ways within which you can get involved. Look Good Feel Better is dedicated to improving the confidence and wellbeing of people undergoing treatment for any sort of cancer. They improve self-image and appearance through free skincare and make-up workshops and masterclasses along with online support to help regain a sense of control and improved self-esteem. Refuge is committed to a world where domestic violence is not tolerated and where women and children can live in safety. They aim to empower women and children to rebuild their lives, free from violence and fear. They provide a range of life-saving and life-changing services and a voice for the voiceless. The route is 4.5 miles long, so depending on your walking speed, it should take you between 1.5 to 3 hours to complete. There will be checkpoints along the route, featuring goodies, activities and photo opportunities galore. Thirdly you can book a Brow Wax and 100% of the Brow Wax profits will go to these charities. Or you can be on your look out for a High Brow Tea Event! Throughout May and June, the Bold is Beautiful Project will tour the UK with a pop-up 'High Brow Tea' (on wheels) in collaboration with Tea Pigs. Guests are able to attend the event in pairs to experience a Tea for Two, with on board brow services to get those brows perfected! Look out for further details from the Benebabes! They are two fantastic causes, which makes Benefit even more awesome! Benefit is the only cosmetic brand I have never tried! But I've been eyeing up their blusher - dandelion I think it's called- for a while now! Benefit are a great brand and I think they did the brow wax thing last year as I went to one in Cardiff. Great idea and fantastic for raising money for such a great cause. It is so heartening to see a beauty brand get behind such wonderful causes. A great brand and loving hat they are getting behind such great causes! Oh wow what an awesome thing for them to be doing, I hope it is a really successful campaign. I love it when brands work with charities like this. They use their large following to their advantage to raise awareness! These are two fantastic charities. It is so great to see Benefit showcases and supporting such important causes! Sounds like an amazing cause and I hope I can make it to the event! It's nice to see brands working with charities and these are great causes. What a great cause hope it all goes well for you and keep up the good work! Where can I find more details about the benefit high brow tea? I would love to attend and it is wonderful that they are raising money for charity. This sounds like a great event! I really must try some Benefit Cosmetics!! It's nice to see companies giving back like this. I think stopping at all the checkpoints for photo ops would be fun. Brilliant causes, great to see a big brand supporting such important charities. The march looks like a great route, will you be taking part? It's brilliant that Benefit is trying to give something back with this campaign. Will look out for the tea for two van. what a fabulous fund raising idea! I love benefit products too, so it's easy to be able to contribute! What a great idea! It's such a shame I won't be in England that weekend because I would have loved to have taken part in this :( Nice to see Benefit giving back! Oh fantastic causes. I am yet to try Benefits cosmetics but I've heard great things about them. As someone who's day job used to bring me into contact with women who have suffered domestic violence, I wholeheartedly support Refuge. A worthy event! Brilliant initiative and such amazing charities to support!I live too far to attend unfortunately. I love it when companies get involved in worthwhile causes this sounds like a great event. This sounds like a really great event. It's always great to see big companies such as Benefit giving back in some way. I like benefit products and love this fundraising idea too.